We will continue exploring the Introductory syllabus of fundamental poses, including backbends. As we study the most basic standing poses, forward bends, twists, and inversions, what doorways do we open up? As the Iyengars remind us, there are no beginner poses, only beginner students. That is, even the most basic poses have infinite depth, if we bring refinement of consciousness to them. Join us as we delve the fundamental poses, and discover the deeper layers. 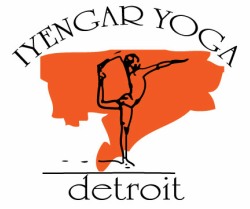 Open to Iyengar students with 3 months or more of study.